It all started at a party during Sukkot in 2006... I watched someone painting faces and thought, “Hey I can do this! Using my experience hand-painting crafts and creative talent, I was determined to start a face painting business. I learned on the job (practicing on my own kids and neighbors). I also trained with some of the best face painters-artists in the industry. I love being able to combine my passion for painting and unique ability to bring out the best in each child I paint. 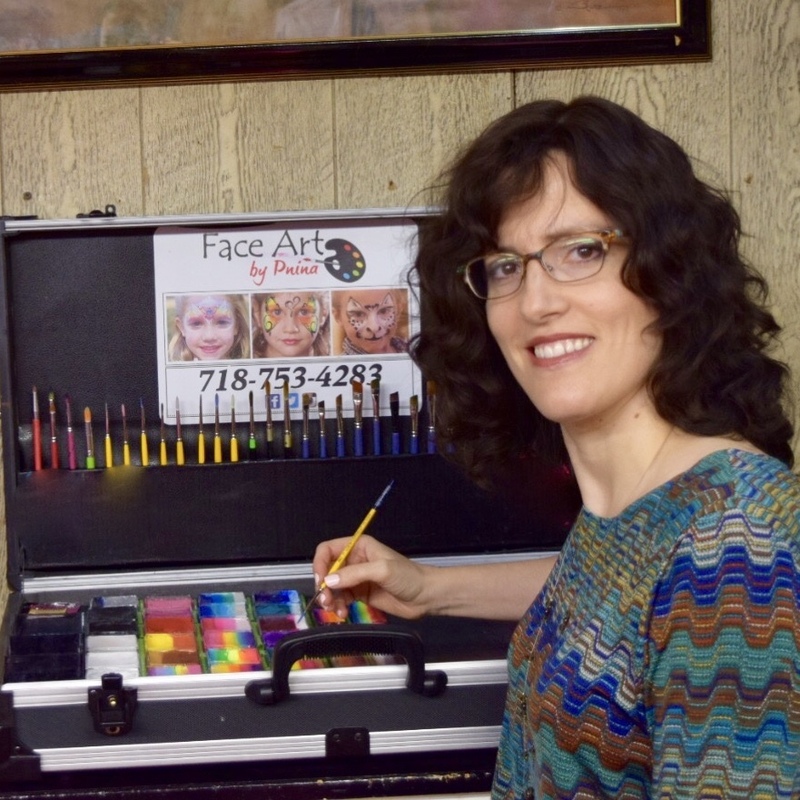 Face Art by Pnina is the top choice for parties in the tri-state area. I have painted at hundreds of parties and won several awards in face painting contests. I cheerfully create memories one face at a time.